Copacabana might just be the most famous beach in the world, and its promenade along the Rio de Janeiro seaside is certainly the most iconic there is. Here, Marx takes a cue from Portuguese pavement design with an undulating black-and-white pattern. The architect's influence extends beyond Brazil. His design for Miami's Biscayne Boulevard was completed posthumously. The three-color pavement design shows his signature mix of logic and rhythm. Burle Marx & Cia. Ltda., Rio de Janeiro. Reproduced with permission. All rights reserved. Marx's signature treatment of pavement meets tropical gardens in the design of Rio's Ministry of Education and Public Health, which was among the first public projects to prioritize native plants. Here, Marx also foresaw another trend: green roofs. The landscape Marx designed for Gustavo Cavanellas in Petropolis, Brazil, was revolutionary: rather than a structured garden, he opted for bold swathes of graphic color made from then-unfashionable local plants. In addition to his acclaimed career in landscape design, Marx was accomplished in many other fields. He painted and sculpted, designed sets and costumes for theater, created textiles and jewelry, and also worked in ceramics and stained glass. 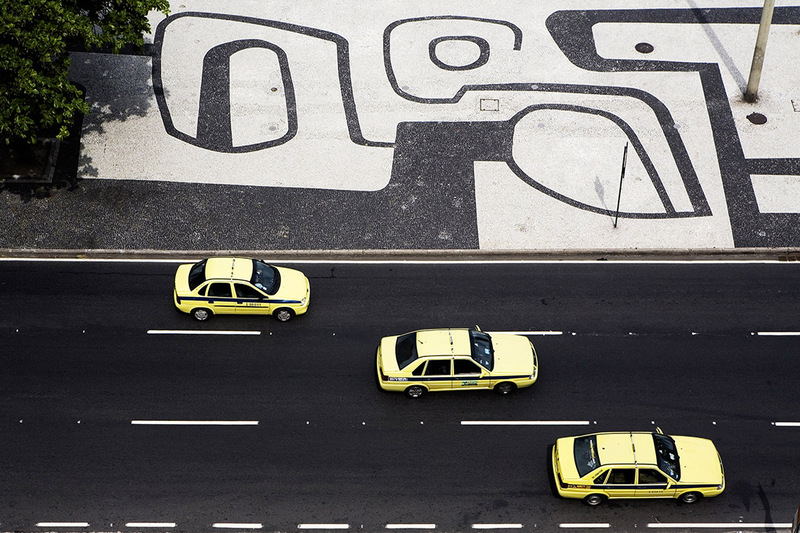 Roberto Burle Marx: Brazilian Modernist runs from May 6 to September 18, 2016 at the Jewish Museum in New York. For more landscape inspiration, check out the June 2016 issue of Dwell, on stands soon.